Probably the most pressing question for anybody managing an organisation’s analytics projects is deciding which issue to address next. There’s never any shortage of worthy candidates and the list of options can seem overwhelming. That said, the application of a proven selection process is comparatively straightforward, and can be broken down into a series of easy to follow steps. 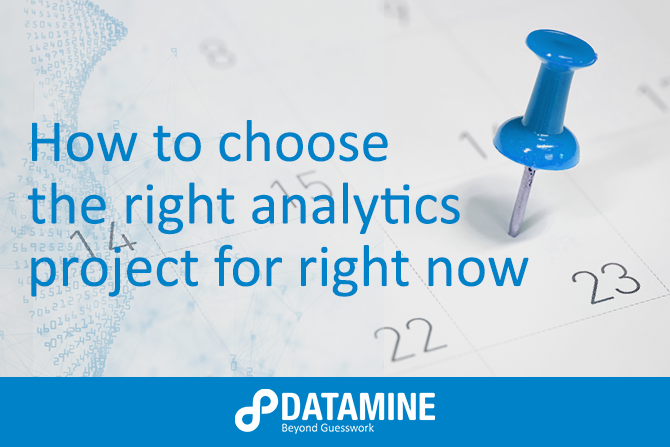 The first step to selecting the right analytics project is probably the easiest — identifying your ‘big’ problems. Maybe you’re falling short of sales targets, or your manufacturing operation is running inefficiently, or you’re unable to source resources at an acceptable price point. Whatever they are, you already know about them and you probably won’t have to think too hard to come up with a list. What’s important, though, is not to overthink the list at this stage, just get it all written down — the analysis will come later. Step 2: Ask ‘Does this problem have an analytics component’? So you have your list of issues. Now filter them by asking which ones have an analytics component? The fact is there are some problems where analytics won’t be a factor. If your international parent company has made a policy change that’s impacting you negatively, for example, there’s probably no way the application of analytics will resolve those issues. What you’re aiming for here is to shorten your list to only those problems where analytics can assist. For example, things like forecasting, market and customer segmentation, decision support and campaign management. A tip? If there’s a spreadsheet or a database involved in the problem, then analytics probably has a role to play in the solution. 1. Which of these decisions could be improved by the application of analytics? 2. What would be the likely value of improving those decisions with analytics? 3. What would be the likely cost of undertaking the required analysis? You’re almost there. You have identified the big problems that have an analytics component and you’ve pinpointed where data and decision-making intersects with the business processes that underlie those issues. You’ve quantified the potential value of improving those decisions and the analytics cost of doing so. Now it’s time to do the maths. If the return is going to be minimal or mediocre, then put those projects to one side, as there’s another way to handle them. Congratulations, what you’re left with now are your potential high-value analytics projects. And the final filter? If you’ve got a few options and aren’t sure which ones to start on, always ensure priority is given to those projects that most closely align with your organisation’s strategic vision. And what about other projects? For projects that didn’t make the cut because of poor ROI, our experience has shown that the implementation of other major initiatives will often impact these issues positively as a matter of course. Alternatively, it’s often possible to find synergies in the underlying processes and data issues of these projects and wrap several of them together in a single initiative that provides the necessary return on investment. 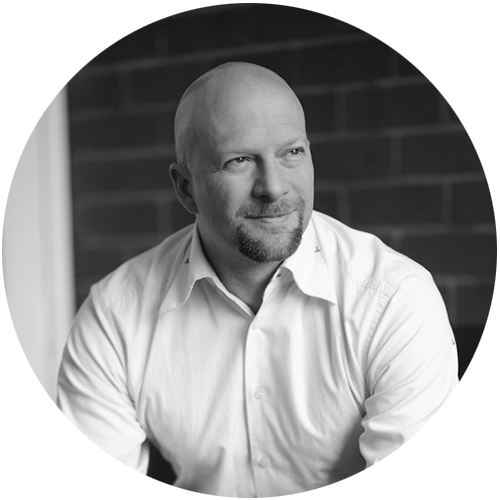 Datamine Partner Mike Parsons specialises in the development and implementation of comprehensive cross-organisational data strategies, and is a renowned ‘go to guy’ for C-suite executives looking for real world data advice. With over 20 years senior management experience, Mike works across the business — bringing deep industry experience in the banking, telco, energy, retail, FMCG, and insurance sectors.